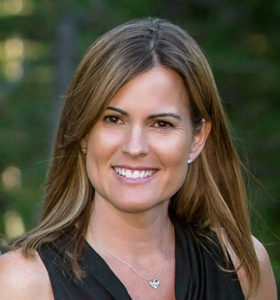 It’s easy to think “it’s not going to happen to me” when the thought of your home/roof collapsing from too much or an unbalanced snow load but the truth is, it’s a very real problem for homeowners living in the Truckee Tahoe Region. 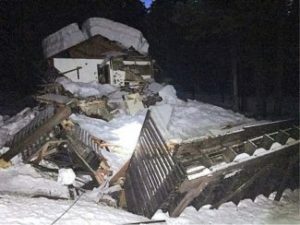 The combination of massive amounts of snowfall and unbalanced snow loading on homes, has left the North Tahoe Fire Protection District responding to several calls for collapsed roofs. Thankfully, all of the homes have been unoccupied, and as a result no injuries have been reported. When personnel such as North Tahoe Fire or Meeks Bay Fire Protection District respond to a structure collapse, their number one priority is life safety. Life safety includes determining the potential for trapped victims or the possibility of occupants in the structure at the time of collapse as well as the safety of first responders and civilian bystanders. The next steps would to also by securing the buildings utility services, such as gas and electric, This is done early to prevent secondary fire, electrocution or explosion caused by damaged or downed lines so that no other accidents can harm civillians. After rescue operations and the utilities are secured the area may be taped off with caution tape to warn visitors of the danger and notifications are made to the local building officials and utility companies. Visual deformation or sagging of beams and other parts of a building’s structural-support system. Newly developed cracks, particularly any which appear above windows or doors and where beams and other support structures are located. Minor cracks that expand or contract could be indications of building movement. Doors and windows that suddenly become significantly harder to open or do not open at all, a sign that a building is potentially settling. Recent buckling of interior or exterior siding and finishes, which may be a symptom of settling. Sprinkler heads being pushed down below ceiling levels. So how can you prevent your home from collapsing? The nest step would be maintenance and the primary thing to remember when clearing your roof is to be safe. North Tahoe Fire Protection District recommends snow removal to be performed by a licensed, insured professional roofing contractor who has experience in removing snow from roofs. According to the Zachary Engineering website, each side of the roof should be cleared at the same time whenever possible — meaning that one side of the roof should not be completely cleared until the opposite side of the ridge is also cleared. It is recommend clearing in stages. This will help avoid unbalanced snow loads on the roof. You may have heard of roofs that fail during or immediately after clearing, and the primary reason for this is inadvertently creating unbalanced snow loads for which a roof might not have been designed. What to do if you witness or find a structure collapse. Immediately call 911, do not enter as it may be unsafe, and beware of any smell of gas or downed power-lines and the possibility of secondary collapse. To check your snow load for your home, you can visit zacharyengineering.com where you will find their free snow load calculator. A snow load safety guide is available at FEMA.gov. 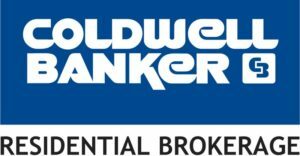 "Nicole Folks with Coldwell Banker, blew our expectations of buying a home out the water! She was beyond amazing and exceeded every expectation we could of had in this home buying process. From her research... continued"